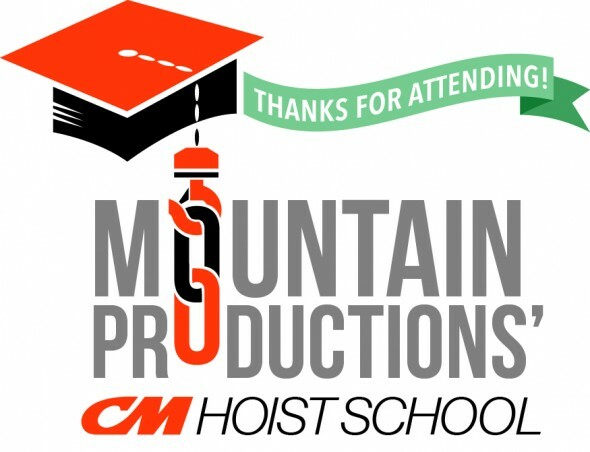 Mountain Productions would like to thank everyone who attended our 2013 CM Hoist School this past week. 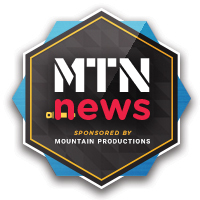 It was the 28th year for the event, and Mountain was introduced to a diverse group of individuals who were excited to be a part of this tradition. 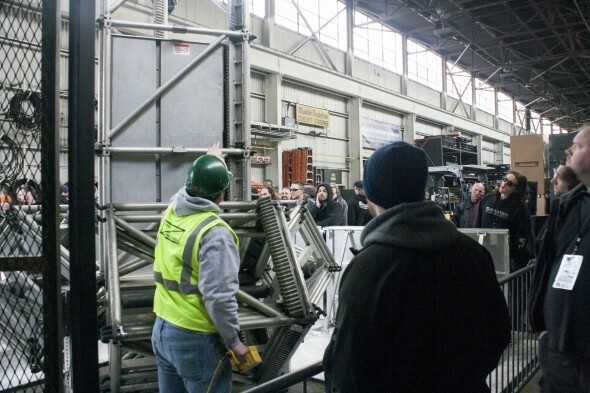 It’s also exciting to note that this year’s Hoist School had the largest attendance in the event’s history. The seminars were taught by some familiar faces, including Dave Carmack (CM / Hoist Use & Maintenance), Eric Rouse (ETCP Certified Rigger / Rigging Principles), Trey Allen (James Thomas Engineering / Truss Management), Mike Webb (Motion Laboratories / Motor Control & Load Monitoring), Mark O’Brien (Rosebrand / Stage Curtains & Tracking) and Matt Smith (Capital Safety / Fall Protection). Mikey Richards, a rigging salesman at Mountain Productions, is the lead coordinator of the Hoist School. Pulling together the entire event is a labor of love for Mikey, as well as the rest of the Mountain staff. The reward is being able to educate and share experiences with others looking to advance, develop and grow in our industry. 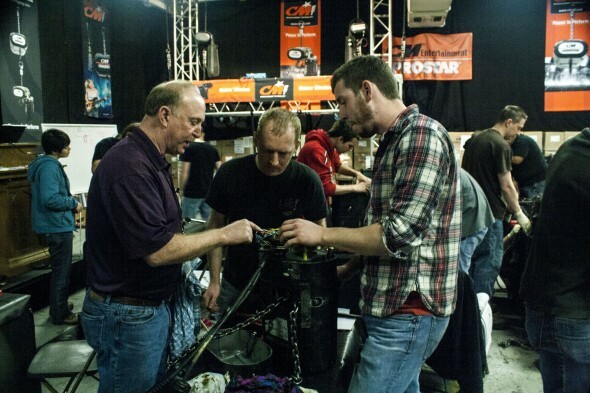 The Hoist School is a perfect place to network, learn from industry professionals and gain hands-on experience. 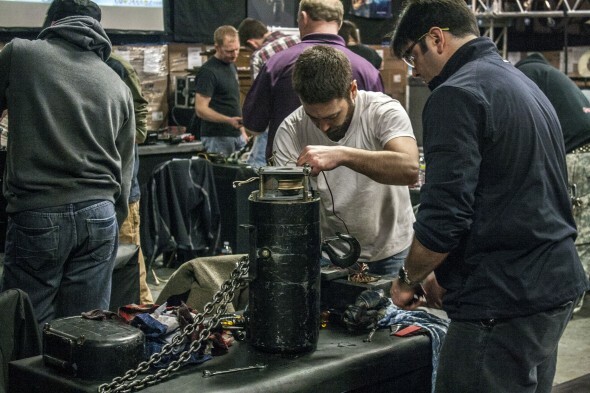 If you did not get a chance to attend this year’s Hoist School, we encourage you to plan ahead to next year’s event. More details will be announced later in the year. In the meantime, our Online CM Lodestar Maintenance Training program is a great way to prepare for the Hoist School. For more information on this course, please click here. 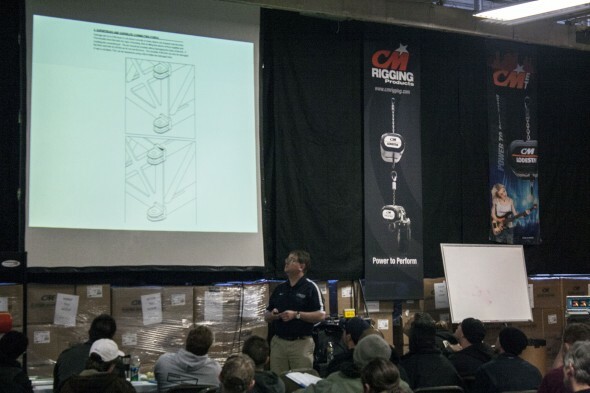 Below are some pictures from the 2013 CM Hoist School. For additional images, please visit our Facebook album here.